Lily, Ophiopogon Japonicus, Bulbus Fritillariae Cirrhosae, Prepared Rehmannia Root, Dried Rehamnnia Root, Angelica Body, Radix Paeoniae Alba, RADIX GLYCYRRHIZAE, Radix Scrophulariae, Platycodon Grandiflorum. 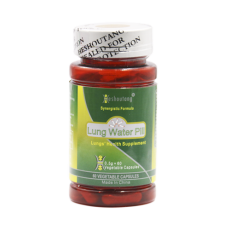 Lung Water Pill helps maintain lungs health by replenishing water energy of lungs. There are about over 100,000 people in different countries are using Lung Water Pill for lungs health.